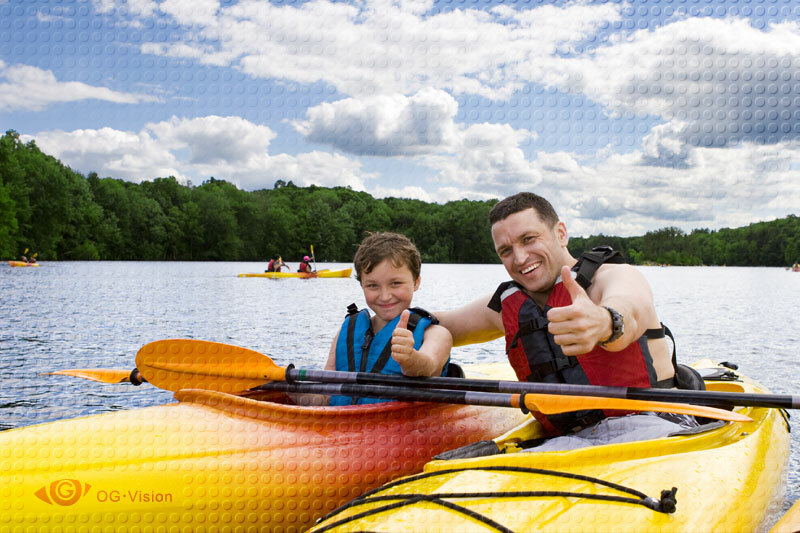 Father and son enjoy kayaking on a warm summer day. The image is great for for posters, sporting goods or vacation commercials, promotions of healthy lifestyle and family values. Filed under Outdoors, People. Tagged blue, boy, family, father, fun, happy, healthy, kayaking, lake, man, orange, sky, son, sport, summer, yellow.